It was really cold this morning. With small flocks of red dragonflies flying around, I feel a hint of autumn in the air. 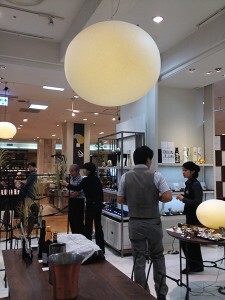 We are going to participate in an event that goes well with the autumn season. 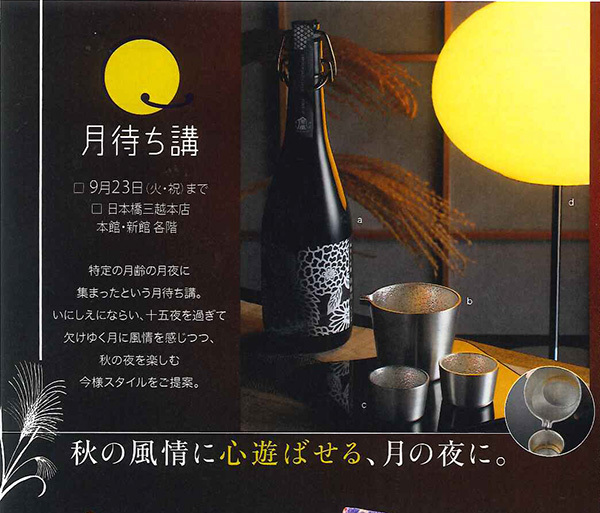 The event is intended to present a lifestyle incorporating the elements of a "moon waiting party," such as bonsai and Japanese sake, in addition to flower vases and tableware designed by Nousaku Corp.
We will exhibit more than ten seamless three-dimensional washi lamps for sale. 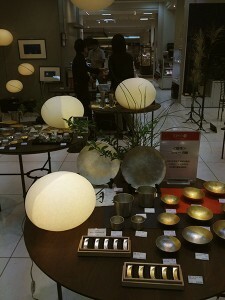 Enjoy the gentle light reminiscent of the moon. 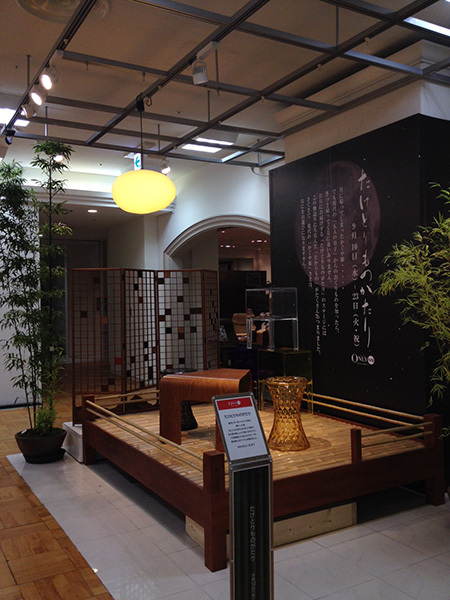 Our staff will go to Tokyo and attend the exhibit on some of the weekends. Everyone is welcome to come and see our products. * The lamp seen in the upper right is our Moon-Floorstand 250 (S). Some of the products will be put on display, starting August 27 (Wed), before the opening of the event on September 10 (Wed). I know I should inform you about events in real time, but I'm uploading several posts at the same time again. I really need to get rid of this bad habit. Anyway, here is some information about a gift show that we are going to participate in. 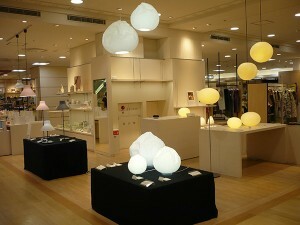 We will exhibit compact seamless three-dimensional washi lamps that are suitable as gifts. The show is a big one that will use all the halls on the east and west sides. The site is expected to be very crowded. But don't get discouraged and miss this opportunity. As we have suddenly begun to have cold mornings and nights, I feel for my blanket while in bed with increasing frequency. Keep your physical shape up, everyone. 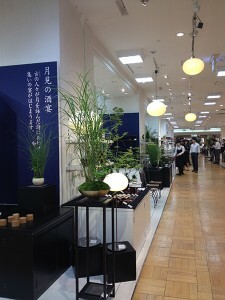 A limited-time shop was opened at JR Nagoya Takashimaya Department Store yesterday on August 27 (Wed). 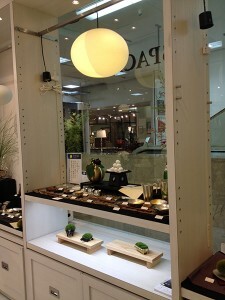 Our shop is surrounded by the aroma and fragrance shops, so you can enjoy looking at our AOYA washi lamps while savoring the good smell of those products. We have the entire collection of our products, including the Toshiyuki KITA series and Natural series as well as the by｜n meister series developed in collaboration with nendo. 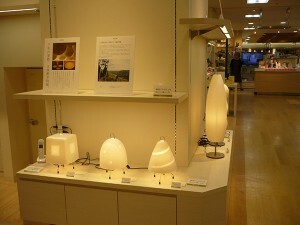 It seems that customers want to put our lamps in the Japanese-style rooms of their homes. The comments that we have received from customers include "Washi really relaxes me" and "Just looking at it makes me feel refreshed." The shop gives away copies of our catalog. Take one and find out about the products we offer. 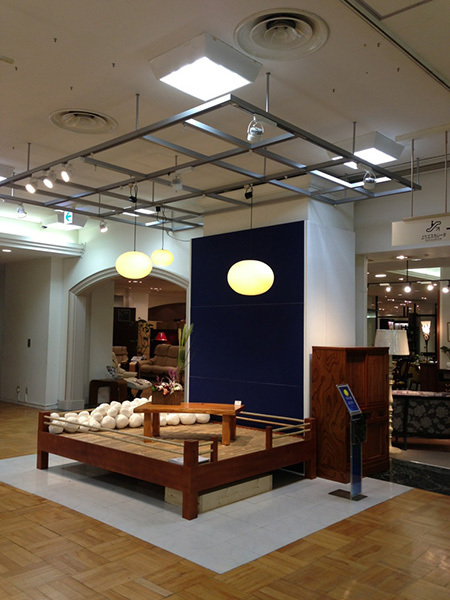 Also, take the escalator to the ninth floor, where our Mokumoku and Mayu pendants are displayed. I urge those of you who live in the Tokai area to come and see our products.